After taking control of Mosul, Iraq's largest city last month, the extreme al Qaeda splinter group ISIS (Islamic State of Iraq and al-Shams) are continuing their New Iraqi Order. This time, instead of telling women to stay inside, they are covering the faces of mannequins. 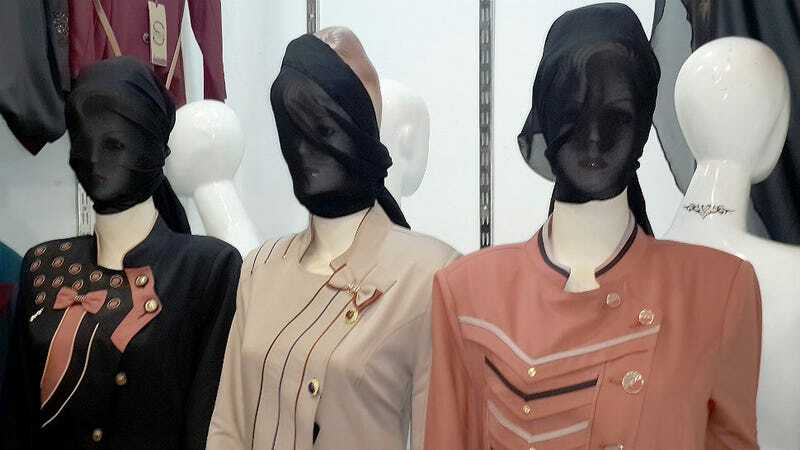 According to NBC News, Mosul shop keepers say they've been instructed to drape the heads of not only their female mannequins but also their male mannequins in black cloth. Some ISIS members feel this demonstration strictly upholds Shariah law, which "forbids statues or artwork depicting the human form." It may seem extreme, but just last month the same group advised women to "dress decently and wear wide clothes. Only go out if needed." What's the definition of if need be? Groceries? Air? ISIS also banned drugs, alcohol, cigarettes and public gatherings, probably where people would do all of the above. But hey, prohibition worked so well in America that time!